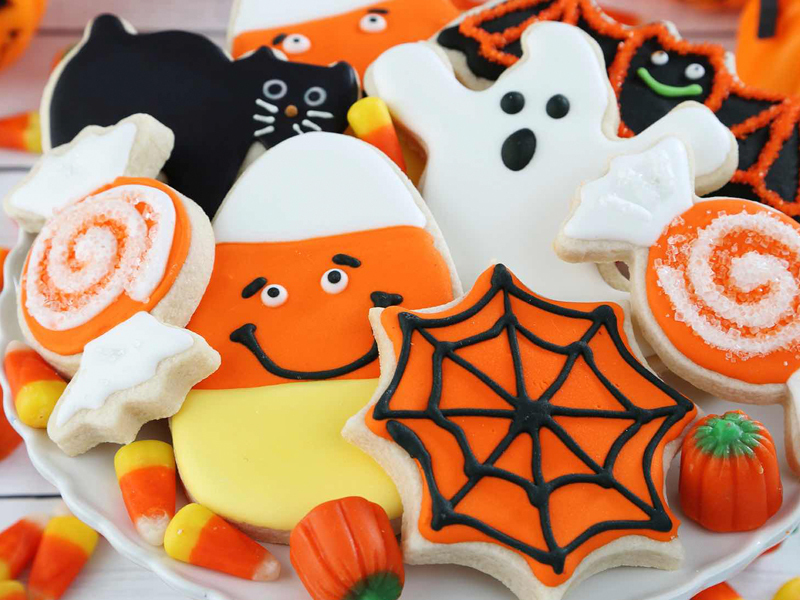 From all the holidays celebrated by Americans, Halloween is the only one where a plenty of beliefs, traditions, and cultural values intermingle with each other just to present a unique celebration where all people can feel unity and togetherness. In some countries, people view Halloween with some kind of bias or controversy. That’s why we have decided that Halloween writing paper can clear everything out by delving a bit into history and thus demonstrate where Halloween’s roots are. Back in 43 AD when the Romans invaded the territory of the Celts, they started to incorporate their own religious celebrations into the Celtic culture. As you might have probably guessed, Halloween celebration is one of them. On the point of its inception, the festivity involved the celebration of pagan festivals, but afterwards, it was designated by Pope Gregory III who turned it into a Christian feast of All Saints Day. By Celts, the holiday officially marked the end of summer harvest. It was even celebrated as the Celtic New Year. For Celts, this very day of celebration was truly specific as this was the period when the living and the dead could meet together on the fringe of two worlds. Celts believed in the wicked and mischievous nature of the spirits, who could damage the crops, burn the hay, and do other bad things. Therefore, the custom of making Lack O-Lanterns came about as a protection from such mischievous tricks of the spirits. In 1800s the Halloween traditions continued to be molded further, where the European immigrants brought their own customs to America. Still, due to the Protestants’ presence back in that time, there are not many accounts of Halloween celebration. Over time, the Halloween traditions were mixed with the harvest celebrations of the locals. Immigrants from Scotland, for example, brought the tradition of fireworks and many funny plays. Even the Guy Fawkes Day celebrated in England is thought to be connected to Halloween traditions. Closer to 1900s, the mode of celebration shifted from the religious perspective and the holiday became more communal. In particular, people borrowed the tradition of guising, when poor people were going from house to the house and asking for money, and implemented the new tradition of going trick-or-treating in costumes. Trick-or-treating and pranks were way more popular and even dangerous in 1920s-1930s, when many of such acts of pranking turned into real vandalism or even physical assault. Many criminal groups and organizations used Halloween as the reason to feel more free in their criminal activities. Anoka, situated in Minnesota is officially regarded as the Halloween capital of the world as it was the very first city to host celebrations. The very first parade that the city organized was carefully planned and organized. Everyone was in costumes, children were given candies, and afterwards there was a huge bonfire. All in all, the celebration became greater and greater over time. Nowadays, Halloween is more popular than ever. Besides, it has become one of the most commercial holidays in the USA. Horror movies that come on screens on Halloween, costume parties, carnivals, and other festivities – these are inseparable parts of the celebration.